1. How To Train Your Dragon - An adventure comedy set in the mythical world of burly Vikings and wild dragons. The story centres around a scrawny teenager, Hiccup, who lives on the island of Berk, where fighting dragons is a way of life. Initiation is coming, and this is his one chance to prove his worthiness to his tribe and father. But when Hiccup encounters, and ultimately befriends, an injured Night Fury dragon, his world is turned upside down and what started out as Hiccups one shot to prove himself turns into an opportunity to set a new course for the future of the entire tribe. 2. How To Train Your Dragon 2 - It's been five years since Hiccup and Toothless successfully united dragons and vikings on the island of Berk. While Astrid, Snotlout and the rest of the gang are challenging each other to dragon races (the island's new favorite contact sport), the now inseparable pair journey through the skies, charting unmapped territories and exploring new worlds. When one of their adventures leads to the discovery of a secret ice cave that is home to hundreds of new wild dragons and the mysterious Dragon Rider, the two friends find themselves at the center of a battle to protect the peace. Now, Hiccup and Toothless must unite to stand up for what they believe while recognizing that only together do they have the power to change the future of both men and dragons. 3. 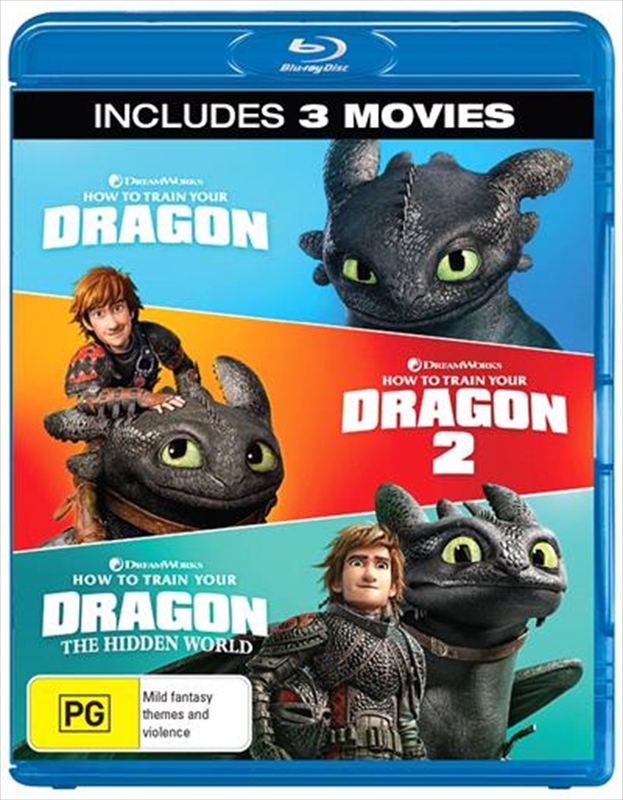 How To Train Your Dragon - The Hidden World - The much-anticipated continuation of one of the most beloved animated film franchises in history. When Hiccup discovers Toothless isn't the only Night Fury, he must seek The Hidden World, a secret Dragon Utopia before a hired tyrant named Grimmel finds it first.